Vogue has been surprisingly daring with its cover shoots lately. It gave us a sultry Selena Gomez for April and championed Katy Perry‘s bold new look for May. 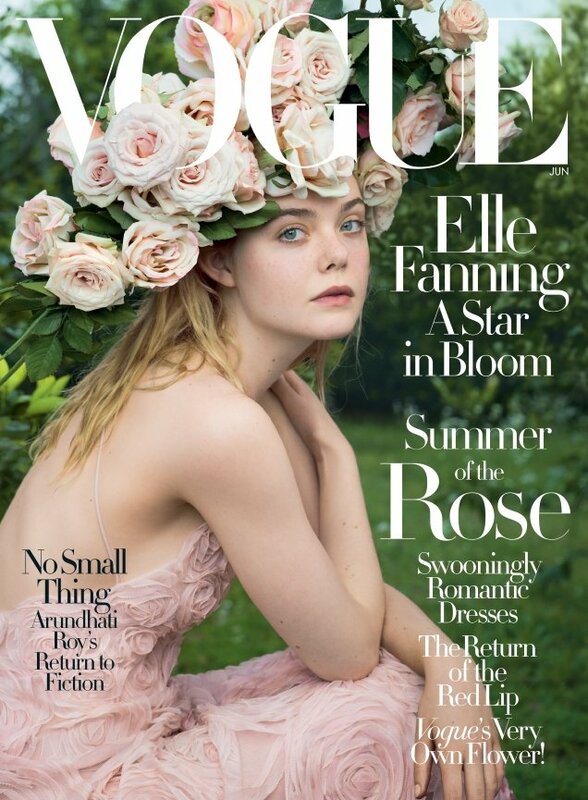 Now, Vogue serves up an enchanting and ethereal cover for June 2017 featuring Elle Fanning. Having already covered Vogue Australia and Teen Vogue, Elle makes her American Vogue debut, photographed on location by Annie Leibovitz with Grace Coddington on styling duties. Forum members had nothing but praise for the cover shoot. “This is so beautiful to me. Finally something different,” approved harricks at once. “Finally! A decent cover for this magazine. I am in love with this,” declared a more than satisfied IndigoHomme. “It’s a return to form for them due to Grace Coddington. Beautiful,” acknowledged a delighted nuehomme. Happycanadian couldn’t have agreed more. “Sublime. Absolutely in love with this, and it’s absolute perfection for June. Not quite the heat of summer, but just right for this kind of warm fairytale direction. Very happy for Elle! She’s one of the most vibrant, talented and consistent young actors working today,” she enthused. “Wow, nice surprise! For some reason I’ve always liked her much more than her sister. She has several movies at Cannes this year, so the cover is nicely timed,” noted SallyAlbright. See more from Elle’s spectacular Vogue cover shoot and join the conversation here.